Thanks in part to industry efforts to make tablets both magical (video) and affordable, Forrester Research predicts that tablets will become the preferred computing device for millions of people by 2016. 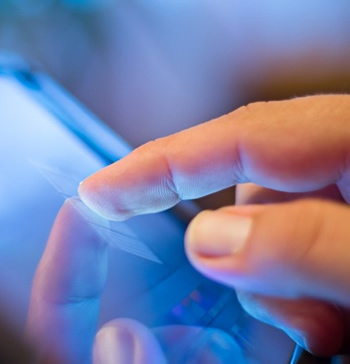 Global tablet sales have been steadily climbing and there's no doubt the futuristic form factor has found its way into many homes: over 56 million tablets were sold in 2011. However, will tablets really supplant laptops as the mobile computer people turn to? In a recent market analysis labeled, "Tablets Will Rule the Future Personal Computing Landscape", the research firm projects tablet sales will top 375 million units by 2016. In addition, Forrester Research generally expects tablets to last about three years before the aging devices are replaced by their owners, meaning about 760 million tablets will be in use by 2016. Globally speaking, about 40 percent of sales are expected to be driven by "emerging markets" while nearly a third will be pushed by businesses. "I agree that laptops are still preferred today, if you had to pick one device," he notes. But he is firm in believing that preference "will flip in the next few years. Tablets will get good enough at many, but not all creation tasks — plus they'll become so important and convenient for every day use and consumption, that they become an individual's primary device." It may be important to note the firm counts hybrid or convertible devices as tablets. Examples of such devices include the Asus Transformer and the Lenovo Yoga. Forrester Research also predicts the introduction of a new tablet-like device intended for larger-scale applications. The firm is calling this device a "frame" and expects the device to sport a far larger display and higher-end hardware. Such a larger may be useful for presentation, entertainment and business applications.